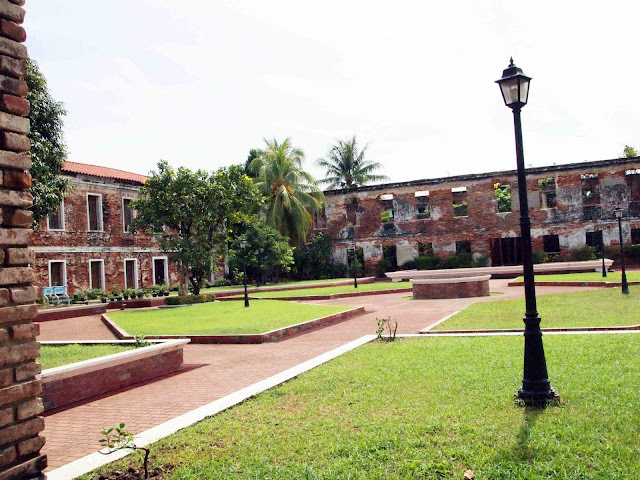 The courtyard of the Spanish fort in Zamboanga City, Philippines. The fort, originally known as Real Fuerza de Nuestra Señora La Virgen del Pilar de Zaragoza, is known locally as Fort Pilar. The construction of the star-shaped fortification, designed to ward off attacks by pirates and other enemies of Spain, was first started in 1635.